Ben Hogan is predominately known for his reputation surrounding the golf community. During Hogan's prime years of 1938 through 1959, he won 63 professional golf tournaments. In that time period, his career was put on hold by World War II. Hogan served in the U.S. Army Air Forces from March 1943 to June 1945; he was stationed at Fort Worth, Texas, and became a utility pilot with the rank of lieutenant. 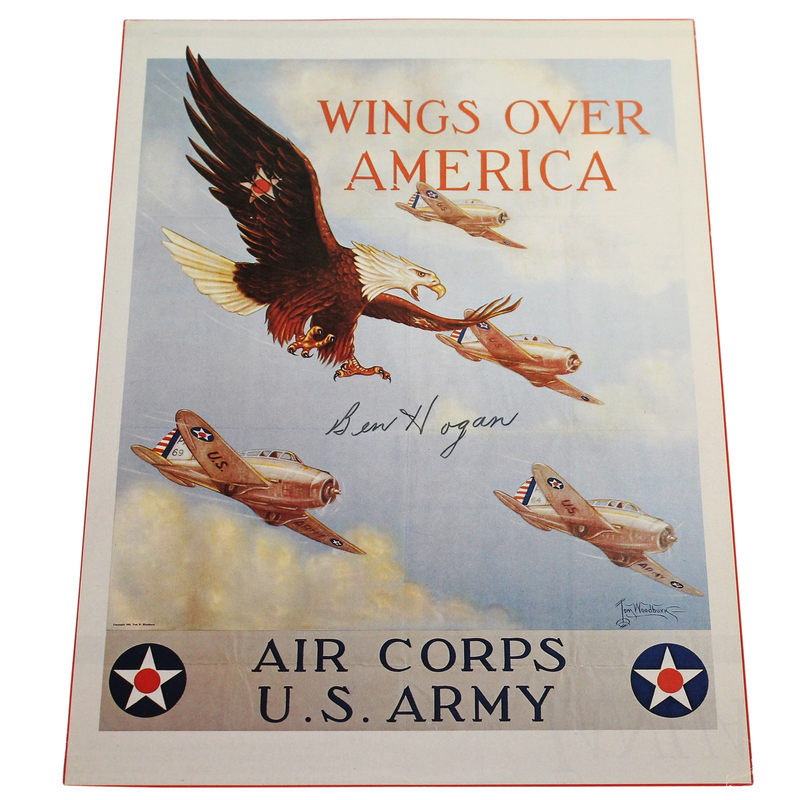 This lot features a World War II Enlistment Depiction For Branch of Service Served and is signed by Ben Hogan.